During the next 30 days, I encourage you to grow yourself a thick, long and satisfyingly shaggy man beard. November is a good month for it. My wife likes beards. But… it sounds like joining or doing stuff. Thats whats great about it. Its perfect for lazy people. Dont worry about shaving – just let yourself go. awesome, undeclared comics is back. all your comics have been great but this is the best one yet. Dang it, I’m a girl… I guess I just won’t shave my legs! Well, it’s November. No one will see it! I thought that was just mustaches? Movember? While No Shave November and Movember are both movements which promote the growth of facial hair during the month of November, they are actually not affiliated with each other by any means! Haha, I liked this one. 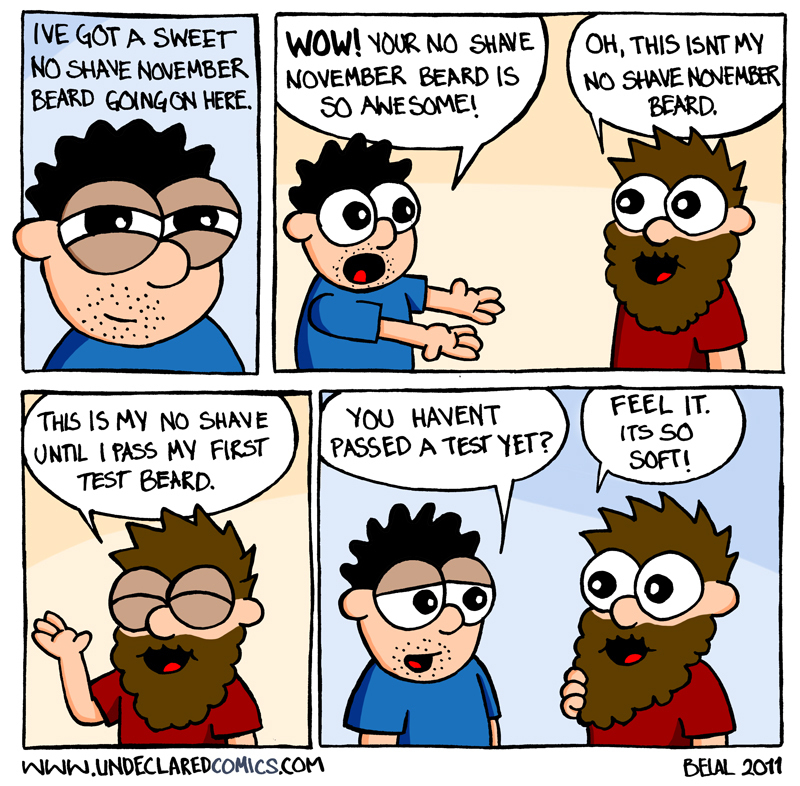 My friend had one of those No Shave Novembers too, but looked like crap by the end of it. In Hong Kong, we call No-Shave-November = Movember.